Close on the publication of an ARIJ–BIRN investigation into counterfeiting Cleopatra cigarettes, an Egyptian Parliament committee has turned a case against the Eastern Tobacco Company to the attorney general. Eastern, a state-owned company, created the iconic brand in 1961 and it is now one of the best-selling cigarette brands in North Africa. In a four-part investigation “Cleopatra: Made outside Egypt” by ARIJ and the Balkan Investigative Reporting Network published last December, journalist Ahmed Elshamy revealed that counterfeit Cleopatra cigarettes were illegally manufactured by a state-run factory in Montenegro for several years, and smuggled into six Asian, Arab and European countries without the trademark owner’s approval. For more than two years, Elshamy tracked smuggled shipments of fake cigarettes. He uncovered the involvement in the illicit trade of networks of businesses and politicians of different nationalities, who participated, under the protection of foreign companies. The smuggling scheme has reportedly cost Egypt around USD 170-284 million annually since 2012, which raises questions about why Eastern failed to protect the Cleopatra trademark. 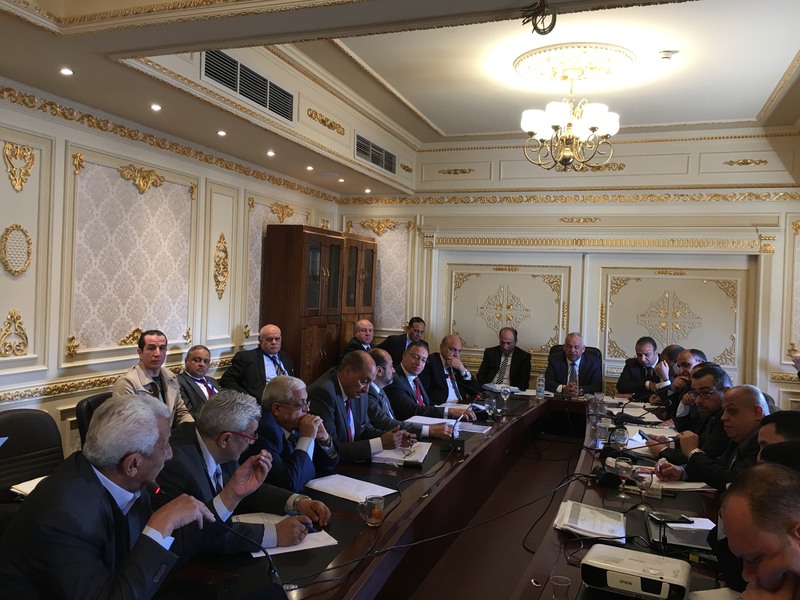 The Industry Committee took action after a meeting attended by the chairman of the Chemical Industries Holding Company, members of parliament, and representatives from the company. The ministers of Finance and the Public Business Sector were summoned to answer questions about the losses to the public treasury. Journalist Ahmed Elshamy was invited, and committee members thanked him for the disclosures. “It is a victory moment. I feel that my hard work and all that I have been through to come out with this investigation is now paid off,” he said. “I expect an investigation to be carried out with the company’s leaders, particularly those who have been in charge since 2012. this could lead to revealing more secrets about the smuggling networks in Egypt, and whether there are any company employees, or officials complicit in the fraud”, he added. Elshamy found it important that the two ministers had been called into parliament. He said that could result in plans to restore company control over the Cleopatra trademark. In response to the accusations, Eastern announced in a statement to the Egyptian Stock Market, that the counterfeiting has occurred since 2012. It added that it did not negatively affect the company’s financial position and revenues.